Hey everybody and happy Wednesday! 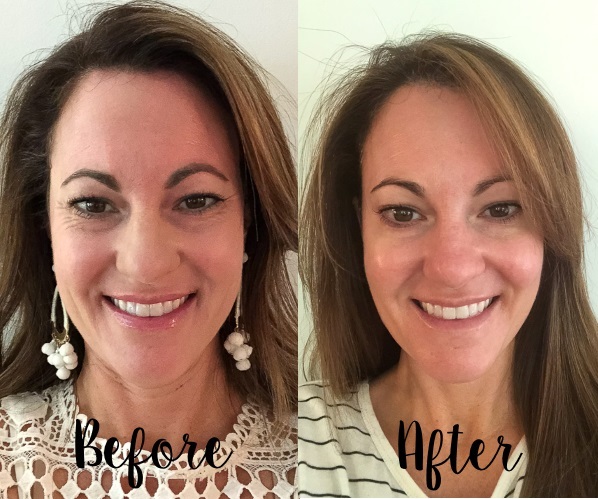 I am back today to share my Botox and dermal filler experience with you including before and after photos. If you want to know what led up to the decision for me to go this route, visit this post here. I am going to tell you everything you need to know if you are considering these procedures, so buckle up! On the day of my appointment I was so nervous. As a first timer, I was curious as to what to expect. Was it going to hurt, was it going to be worth it, was I going to look overdone? After revisiting with Natalie before we started, I felt completely at ease and ready to go. She assured me that I would look natural and not too frozen. We started with the Botox injections, and I have to say that it did not hurt, AT ALL! I would compare it to plucking an eyebrow with each stick. Easy peasy, no big deal. We decided to only treat the area between my eyes, and around the corners of my eyes where I had crow’s feet. Because I have hooded eyes, Natalie suggested that we not treat my forehead for fear that it would make my upper eye lids heavier. This is another reason that I trust Natalie so much. Her experience is evident, and the fact that she is so conservative when it comes to these procedures, gives me complete confidence in her. The procedure literally lasted 10 minutes with zero downtime. I fully felt the effects within a week, and I could not believe the difference that it made. 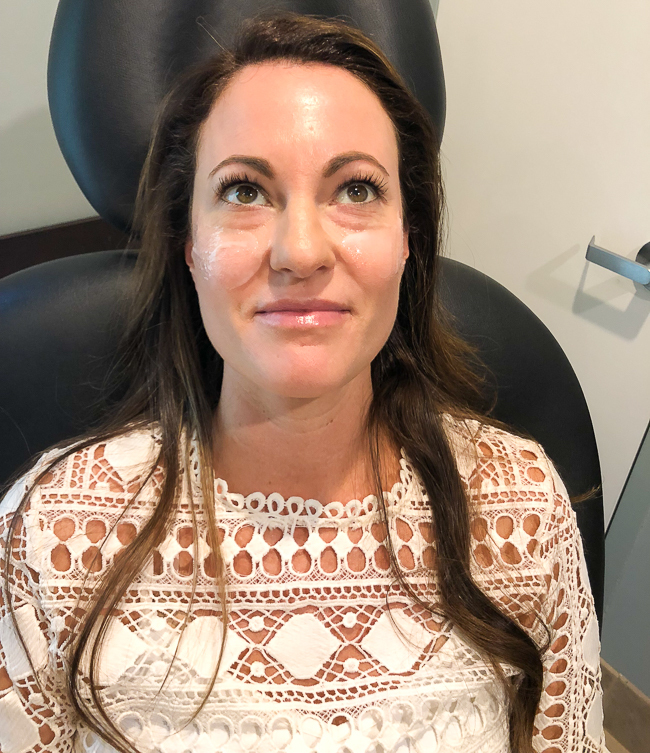 Next came the dermal filler that I had decided to do in order to lift my cheek area, and improve the overall appearance under my eyes. Natalie used Juvederm’s Voluma to achieve the look I was going for. Voluma is a product that is specifically designed to add volume in order to lift and contour the cheek area, and lasts up to 2 years. After placing a numbing cream to the area, and waiting 15 minutes, we were ready to go. Yikes! Look at that under eye area! I have to say that this was not the most pleasant experience. There was some pinching with each stick and some pressure, but you have to remember, that this product lasts up to 2 years, and the results are immediate. Natalie did an amazing job because I had zero bruising! If you bruise easily, I would suggest taking Arnica tablets for a couple of days before your procedure. There was some soreness in the area for the next few days. It hurt to smile, and was a little tender to the touch, but nothing a little Tylenol couldn’t take care of. The entire procedure took about 25 minutes. I was given a cute little ice pack and sent on my merry way. Absolutely 100 percent YES!!!! My only regret is that I did not do this several years ago. The lines under my eyes have completely smoothed out, and the under eye lids have filled in nicely. The area between my eyes has also smoothed out without any sort of frozen appearance. The before and after photos really speak for themselves, so here we go. You guys know how much I love you in order to post these photos, but seriously the difference is incredible. I think I am actually even wearing makeup in the before picture, whereas I am not in the after photo. I really wanted you to see that the lines have completely disappeared. Overall I feel more refreshed and less tired looking. I look forward to being a long term client at Marietta Plastic Surgery and I am excited about working with Natalie in the future to improve my skin with other treatments that they provide. Again yes. You have to think about it this way. This is your face that you are taking care of, and to me that is important. Not only do these procedures improve your appearance, but they also prevent future wrinkles due to expression lines. Each practice is different, so for pricing I suggest that you call and schedule a consultation. Good Botox is not cheap, and cheap Botox is not good! Now, I am not saying that Botox and dermal fillers are right for everyone, but it made me extremely happy and it’s something that I will consider to use in the future. If you are considering these procedures and you live anywhere near the Atlanta area, I highly recommend Marietta Plastic Surgery. You can also follow them on Twitter, Instagram, and Facebook where they post monthly specials that you can take advantage of. I also signed up for their emails so that I am one of the first ones to know about any specials that they are running. 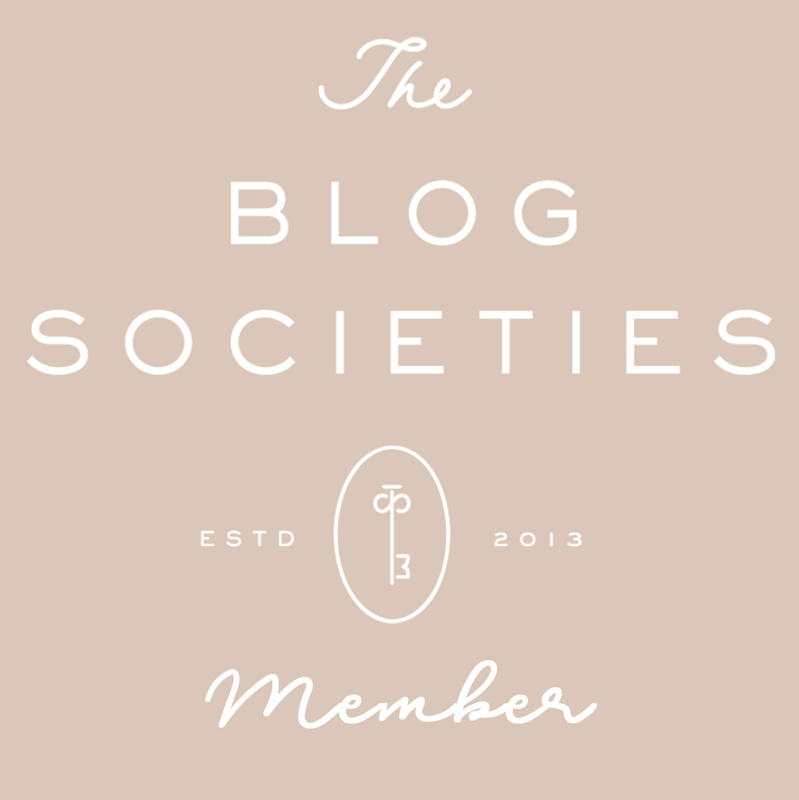 You can also subscribe at the bottom of the page here. Be sure to tell them that Peaches In A Pod sent you! I would like to thank Marietta Plastic Surgery and Lenz PR for working with us. As always, all opinions are our own. This is super informative dear, and you look really good. Thanks for sharing!